Veteran Owned. Vineyard established in 2006. 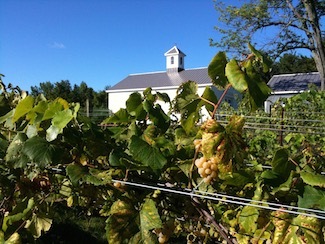 Winery opened just before the 2012 vintage was harvested. We grow approximately 12 different wine grapes that are made into varietal wines and blends. Voted #4 in the WMUR Viewers Choice Top Winery category. We offer an indoor tasting room as well as a patio surrounded by vineyards; providing a unique wine tasting experience. Grape Wines, Jellies and Jams, Herbs and Wild Flowers are seasonally available.